Over the last few years, NTEN has been working with nonprofits to understand how to better wrangle all the data they’re creating and what’s available to them into improved results: more mission impact. In 2010, we organized an online workshop we affectionately titled “Taming the Data Monster.” That workshop focused on the data and “story” side of the equation: how to translate the data you have into a snapshot of the work you are doing today (and yesterday). The workshop was designed for the Communications and IT Staff who have the task of collecting and distributing data in effective and meaningful ways. But what about the steps an organization has to take before collecting or analyzing the data? How do we determine which data matters in the first place, and how that data will impact the direction of our work? In 2012, NTEN was able to survey a sample of US nonprofits to find out how they were doing when it comes to being data-driven: were they collecting data and tracking metrics? Were they finding that data useful for making organizational decisions? With the financial support of Google and the research expertise of Idealware, we published the 2012 State of Nonprofit Data report which indicated that nonprofits weren’t having success with those strategic steps in the equation: almost all nonprofits were collecting and tracking some type of metrics, but only a small fraction were finding that data useful for making decisions that impacted their programmatic work. 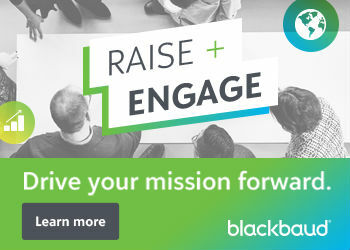 Clearly, there was a disconnect between the tactical work of collecting and tracking data and the strategic work of defining and using the data for the organization’s mission. With this workbook, we hope to provide nonprofit leaders with a set of worksheets that will help guide thinking and planning around more effective data strategies. 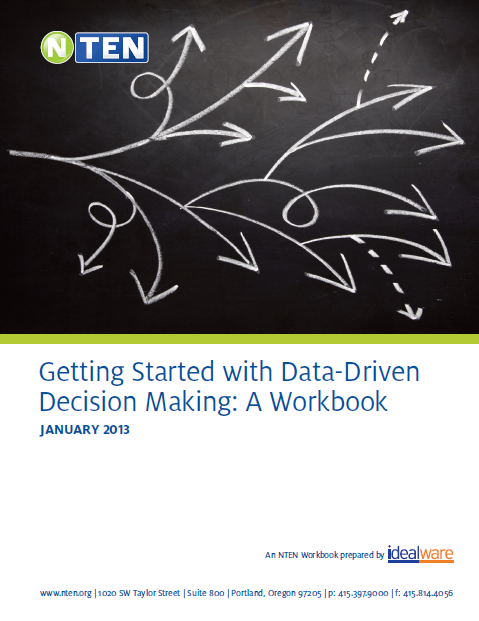 The worksheets are part of the strategic process of defining the right questions, metrics, and plans for effecting data-driven decisions, and this workbook is designed for nonprofit leaders—executive directors, board members, and other organizational leadership staff who develop strategies and are responsible for making organizational decisions. It will be helpful to include input and discussion from various staff when using this workbook, however. It’s important that your entire team buys-in to the strategy—data collection, analysis, and reiteration is a cultural shift for many of us, and it’s something that can’t be done once or intermittently or inconsistently across your organization if we’re going to be more effective. All of this takes investment of time and resources as well as vision. That’s why this workbook includes worksheets that will help you think through the “onboarding” and budgeting processes as well. We’d like to thank Google for providing financial support for this project, and Idealware for helping us produce this workbook.